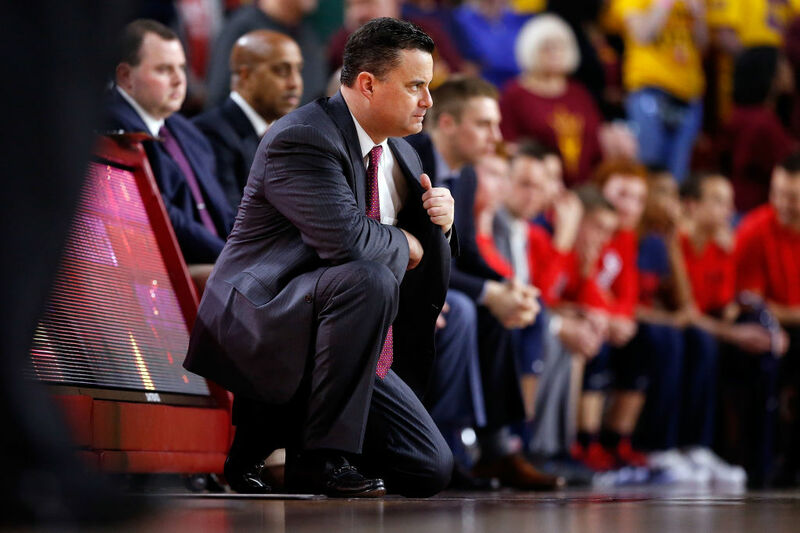 FBI wiretaps recently revealed that Arizona basketball head coach Sean Miller discussed paying star freshman DeAndre Ayton $100,000 to ensure he came to play for the Wildcats. Miller allegedly had multiple conversations with Christian Dawkins about paying Ayton, who's a contender for National Player of the Year and a projected top-five NBA draft pick. Dawkins, who used to work for NBA agent Andy Miller, was arrested last fall for his role in facilitating bribes and improper benefits for recruits. Dawkins asked Miller if he should route payment through former Arizona assistant coach Emanuel Richardson, but the head coach said to go directly through him. Richardson was one of four college assistants arrested this fall, a result of the FBI's multi-year investigation into corruption and bribery in college recruiting. Louisville fired head coach Rick Pitino earlier this season after the FBI released its first findings. While it wouldn't be surprising for Arizona to follow a similar path, doing so would cost them millions. Miller has a clause in his contract that states if he's fired with cause, "the University's sole obligation to Coach shall be the payment of his Base Salary as provided in Section III (and where applicable, any accrued Additional Compensation earned under Section IV prior to the date of such termination)." The important thing in the above paragraph is that the contract simply says Miller gets his "Base Salary." Not what he's still owed, or a pro rata portion of it…the whole thing. This section only applies to Miller being fired with cause. If he's fired for no reason, he's owed about $5.15 million. If he's fired with cause? He'll get $10.3 million. Both Miller and Arizona president Ann Weaver Hart signed the contract, so even though the wording was likely an error, it's a binding deal. If Arizona decides Miller's transgressions are a fireable offense, they'll be handing him more than an additional $5 million to walk out the door.